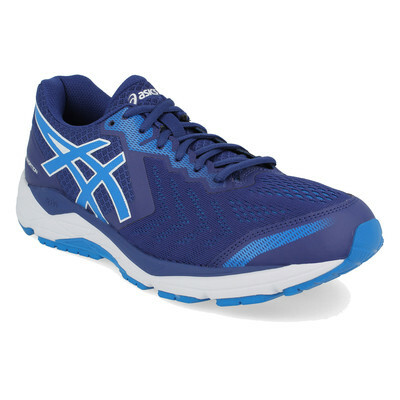 Get a running shoe that packs in huge amounts of support and cushioning. The FOUNDATION backs you up over long distances, whether you land on the ground with force or you bring your weight down on your arch. It's ASICS' most supportive shoe yet. Mesh uppers will encase each foot in breathable comfort. Perforations in the fabric increase airflow to create a better, healthier environment for your feet to thrive in. A ComforDry sockliner lies atop a supportive midsole, implemented to supply an extra layer of plush and hygienic underfoot comfort. 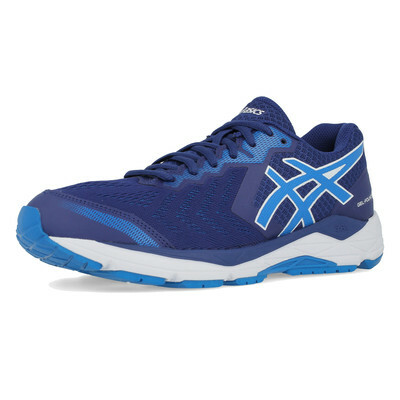 This premium product provides cushioning performance and anti-microbial properties, so you stay damp-free and comfortable on hot, longer distance days. A modified fit over the forefoot means reduced irritation in the bunion window and over the toes. Reflective elements complete the upper, increasing your visibility to passing vehicles and keeping you safe on those low-light adventures. 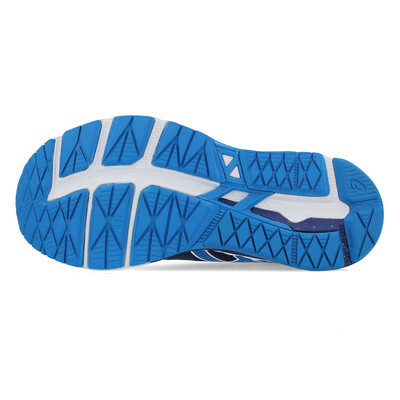 In the midsole, the Dynamic DuoMax Support System (a dual density midsole material) works to stabilise the foot during the push-off and landing phase, controlling pronation and preventing injury. A top layer of SpevaFoam and bottom layer of Solyte combine to offer ultimate stability plus soft, underfoot comfort. SpEVA improves bounce-back characteristics and decreases midsole breakdown, while Solyte provides lightweight responsiveness. 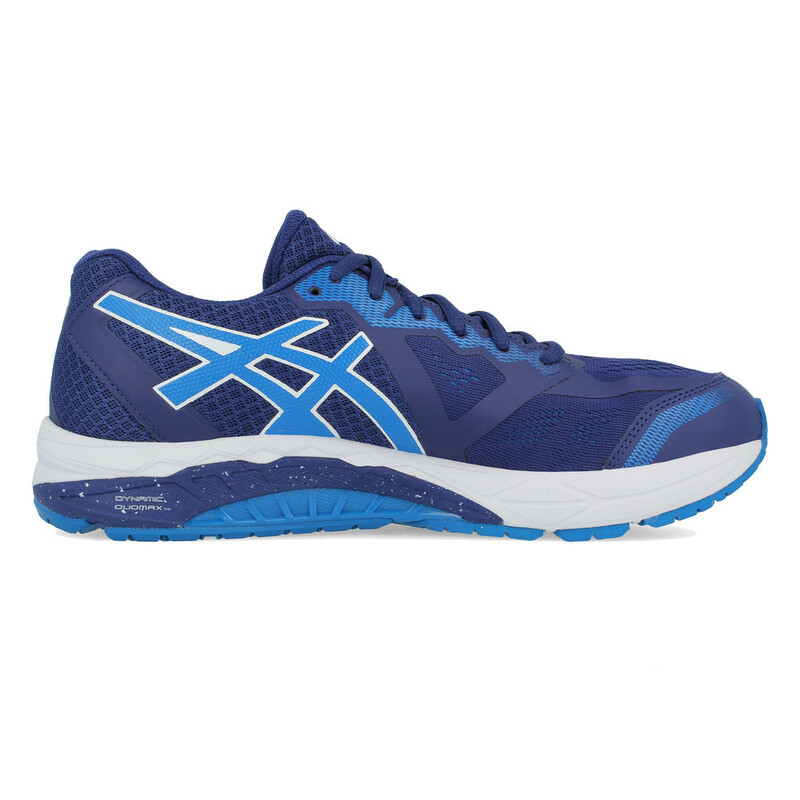 Embedded within the luxurious midsole compound, are the Rearfoot and Forefoot GEL Cushioning Systems. 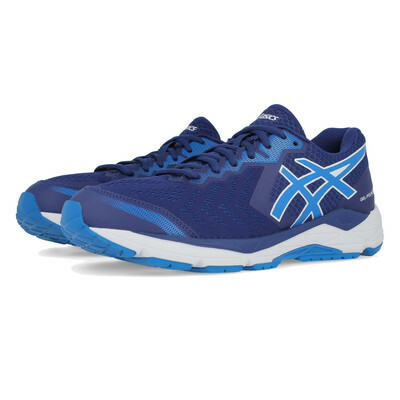 These work to reduce shock during the impact phase, sparing your joints as you sprint down onto hard, unforgiving surfaces, and allowing for a smooth transition to mid-stance. The Trusstic System has been implemented to reduce the weight of the sole unit and link the forefoot and rearfoot. It works alongside the Guidance Line to encourage a more consistent and directional gait, without compromising the shoe's structural integrity. A solid rubber outsole completes the Foundation 13. Strategically adorned with AHAR+ (ASICS High Abrasion Rubber), it provides extra durability and traction in high-stress areas. The tread provides superior multi-directional grip, allowing stability on the wet and dry ground. Flex grooves complete the shoe, promoting natural movement in the foot and contributing towards every smooth, uninterrupted stride. Shave seconds off your times with this new, lighter FOUNDATION. Improved forefoot fit - Creates a roomier, irritation-free fit. Reflective elements - Increase visibility in low-light conditions. Dynamic DuoMax Support System - Next generation DuoMax system provides greater comfort and enhances gait efficiency. SpEVA top layer - Improves bounce-back characteristics and decreases midsole breakdown. Solyte bottom layer - Lightweight and responsive cushioning. 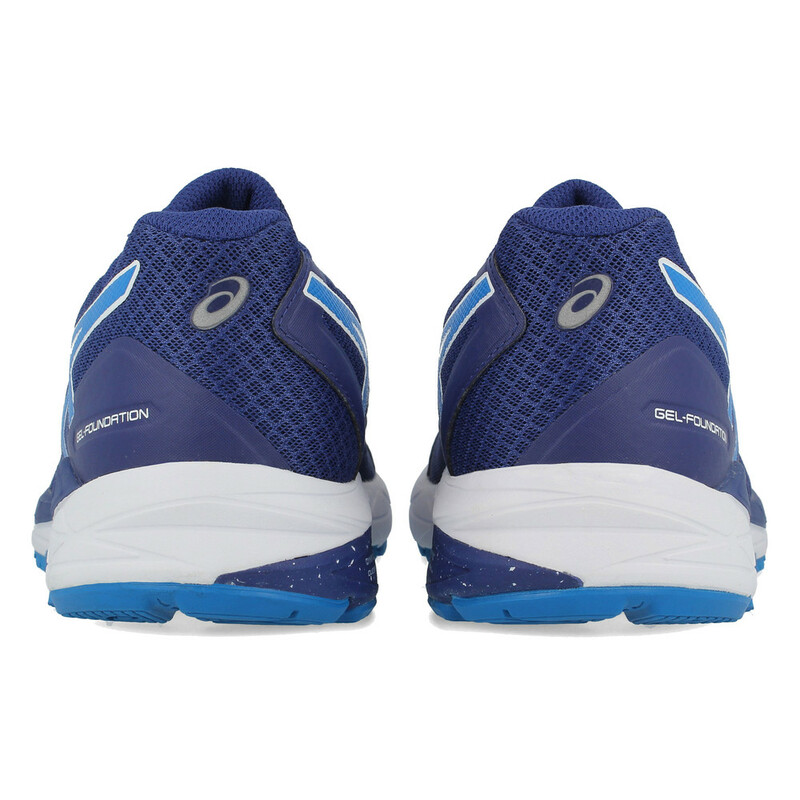 Solid rubber outsole - For enhanced durability and traction.